I WANT TO BE A SUICIDE BOMBER by SIFIR (Zafer Aracagok) owes a lot to sampling techniques developed by the artist and to quasi-geographical suicidal tendencies all across the continents these days. 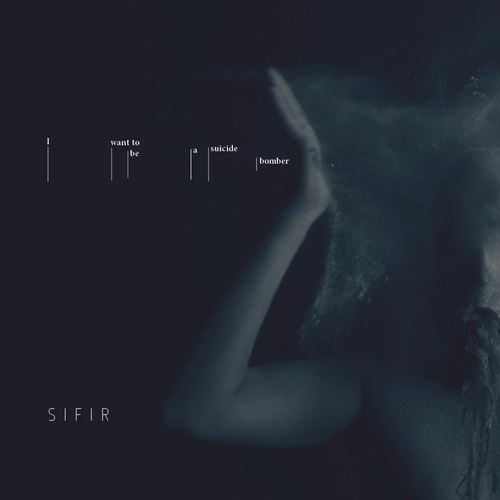 SIFIR pushes the listener to the edge of an abyss where desire to be a suicide bomber comes to the fore as a form of universal ressentiment. – dividual? “Why”ing not in order to get ready-made responses to daily media bombardements, and media intellectualisms, Somnambulist Situationists aim at miraculating a sleepwalker’s strategy to re-consider the Situationist Internationalist’s texts towards an un-negotiable, short-circuiting, non-identitarian, and especially a critically pervert position. How can we hypnotise the Father, or Hegel,? Or better, how can we maintain a drowsy-Hegel not quite awake yet? What if the father is hypnotised so that he can be made to confess his trauma? Isn’t it timely to radicalise détournament as a way of producing the un-Gestalt of a WHATEVER-IMAGE? How can we hypnotise the Father, or Freud so that psychoanalysis itself is forced to lead the life of a somnambulist? Imagine somnambulist “citizens” who cross the borders for schizo-incesting towards a homosexual-effusion … bachelor-machines. The undecidable is what lies between one’s eyelids. Unfortunately at this time we can't offer all the Sifir - I Want to Be a Suicide Bomber tracks as individual wavs, as some of these tracks exceed the shops maximum (9mins) download length.